Heat oven to 375°F. Spray 2 cookie sheets with nonstick cooking spray. 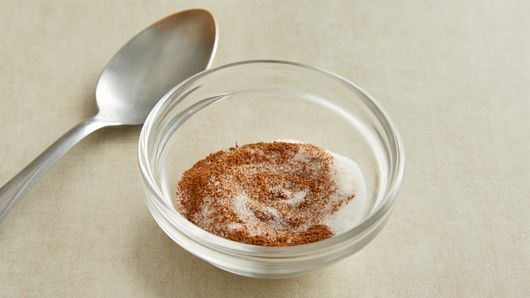 In small bowl, combine sugar and cinnamon. Set aside. Separate dough into 8 biscuits. Press or roll each to form 5-inch round. Place on sprayed cookie sheets. Place 2 tablespoons pie filling slightly off center on each biscuit round on one cookie sheet. Fold biscuits over filling; press edges with fork to seal. Prick top of each 3 times with fork. Brush each with melted butter; sprinkle with sugar mixture. Bake at 375°F. for 15 to 20 minutes or until deep golden brown. (Some filling may bubble out at edges.) Repeat with biscuit rounds on second cookie sheet. 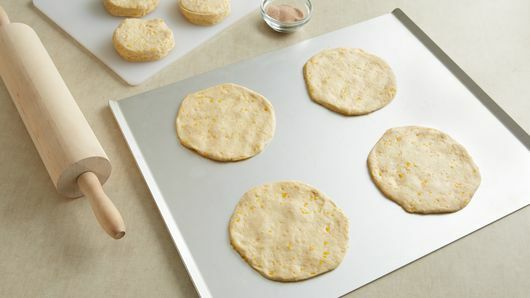 Immediately remove from cookie sheets. Cool 5 minutes before serving. Serve warm. If you haven’t tried fried apple pies, you don’t know what you’re missing! Although these apple pies are baked in the oven rather than deep fried, the concept remains the same: fill delicious dough with apple pie filling and top with a dusting of cinnamon-sugar. You likely have either made or enjoyed an apple pie like this before, but perhaps you know it by a different name! 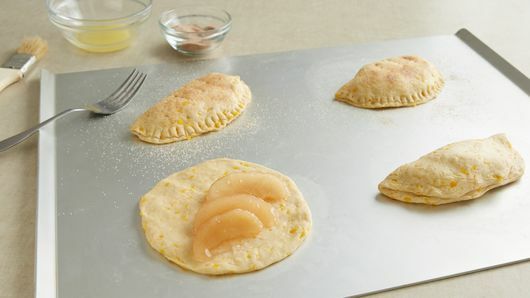 These personal-size pies are similar to apple pie empanadas, a Mexican dessert featuring a flaky crust, sweet filling and cinnamon-sugar coating. 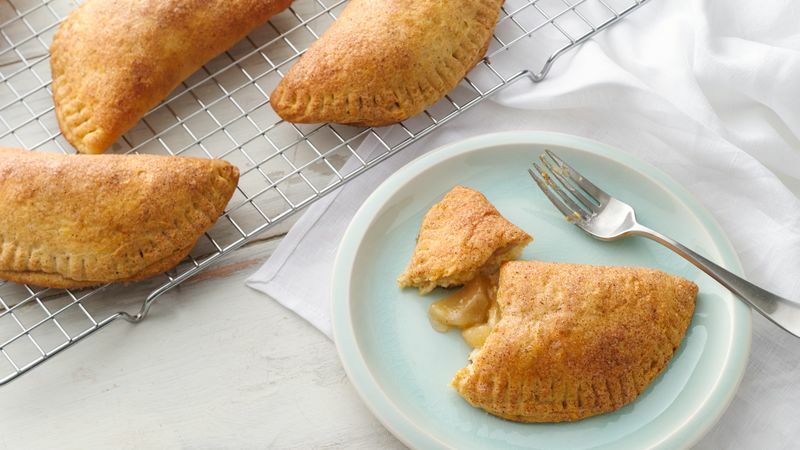 You may have also heard of these delightful desserts by the name “hand pies.” This is one of our favorite ways to eat apple pie because they can be made in a big batch and then enjoyed all week long as a quick dessert or after-school snack. Like we said, this is ONE of our favorite ways to enjoy apple pie—we have a few others in our guide that will teach you how to make the perfect classic apple pie as well as how to put a few twists on the traditional recipe!